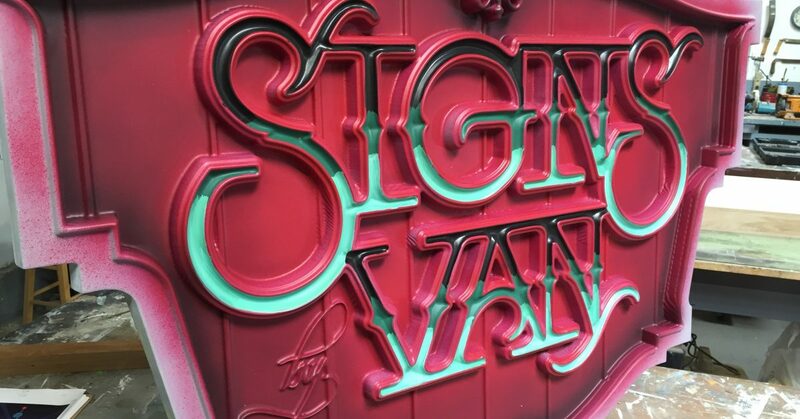 For those of you that haven’t heard, Signs by Van recently won the International Sign Contest Reader’s Choice Award, and we simply could not be more honored. We want to sincerely thank the community that continues to support us for this incredible award, and let you all know how much it means to us. Winning this award has made all of us feel very appreciated for our work. Signs by Van isn’t just a business to us, it’s a passion and a profession we’re very proud of. There really isn’t any other job we’d rather have. It means so much to us to have a community that appreciates all of our hard work and dedication. Your support lets us pursue and put forth our best effort for all of our projects. So to have all of you that voted and told the judges that our sign was the best of an amazing bunch is just an incredible feeling that we can’t thank you enough for. Put simply, the entire team at Signs by Van works like crazy. There are a lot of sacrifices that go into our work, but we do it because it’s what we’re passionate about and we love providing all of you with quality signs. The client who’s sign won shares the same pride in his product as we do in creating the perfect sign to showcase his expertise. We love when you’re pleased with our work, which is why it means so much to us to have won this competition that had a lot of stellar competitors. But as grateful as we are, this award is not the highlight; our service to our clients is the real priority. At the end of the day, what really matters to us is that we can continue making quality products for all of you. As incredibly honored as we are to have been given this award, it is not going to change things for us. We are still going to focus on the products that we create for all of you and make sure that we live up to the high standard that you all have for us. At the end of the day, what matters most to us is that our client liked and was proud the sign. This validation is only a stepping stone for even greater things to come in the future. Going forward, it is our deepest wish that we can continue to make our clients proud and provide them with the best possible products, because we know that is what you have all come to expect. From the bottom of our hearts, the entire team at Signs by Van wants to thank each of you for your continued support and patronage. We promise to continue making you proud in the future.